Singapore, April 11: P.V. Sindhu advanced to the quarter-finals of the Singapore Open on Thursday beating Mia Blichfeldt of Denmark 21-13, 21-19 in straight sets. Sindhu beat the world number 22 in just 39 minutes, after Saina Nehwal defeated Thailand's Pornpawee Chochuwong 21-16, 18-21, 21-19 to reach the quarters. 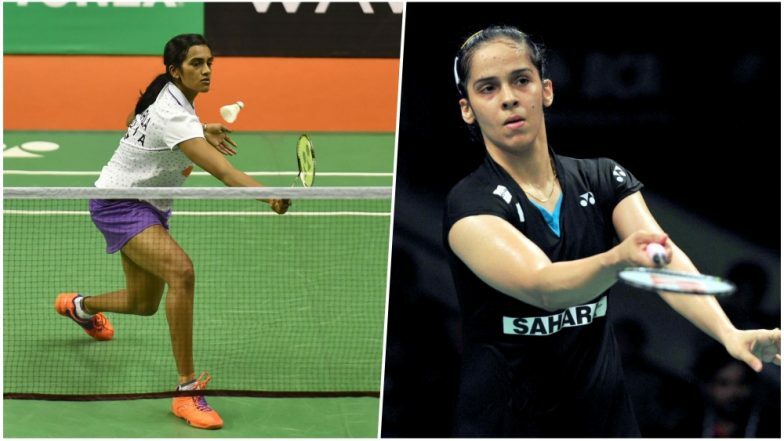 Sindhu will now take on China's Cai Yanyan in the quarters while Saina will take on World no. 3 Nozomi Okuhara. PV Sindhu Says 'Lot of Respect For Women Abroad, Rare in India'.